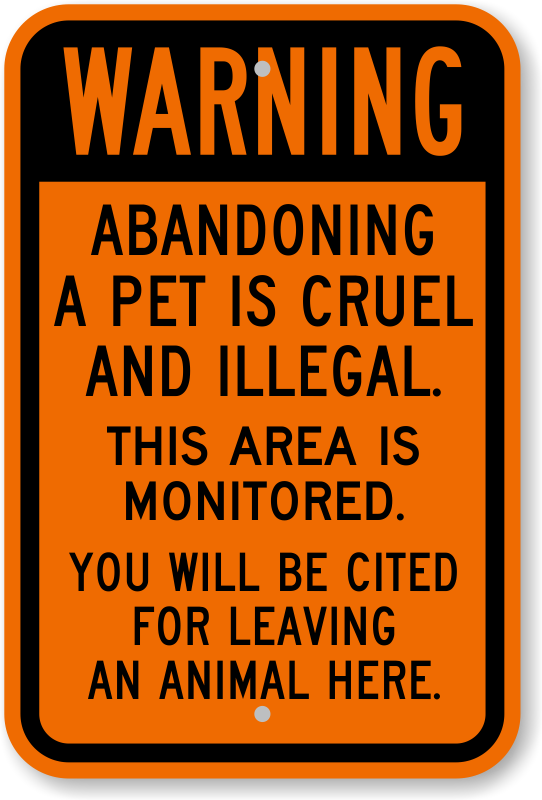 Finding pets abandoned and alone? 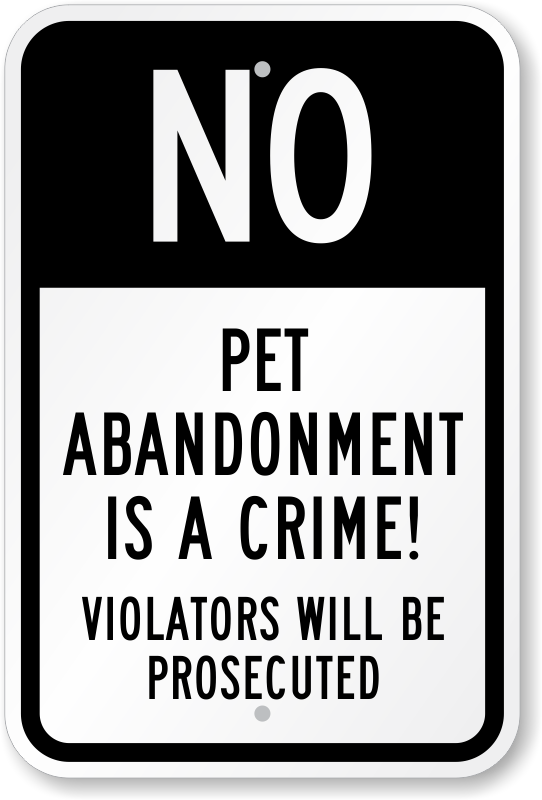 If pet owners decide to give up their animals, they should humanely and responsibly deliver their pets to shelters. 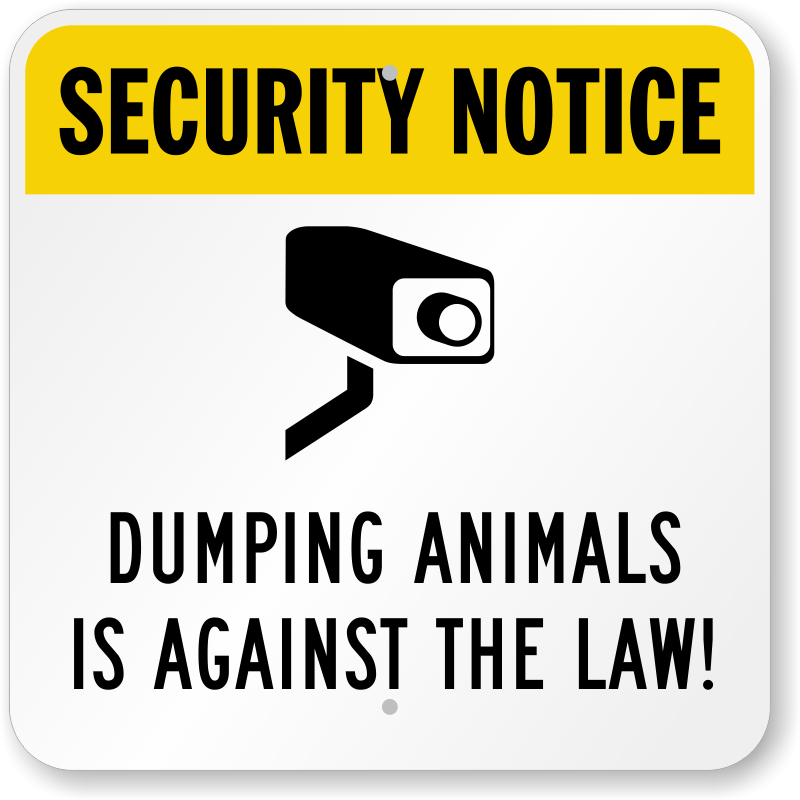 • Animal abandonment is illegal and inhumane. 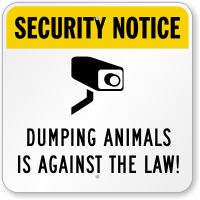 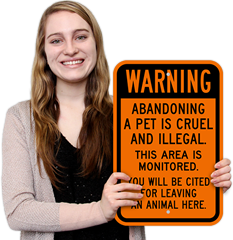 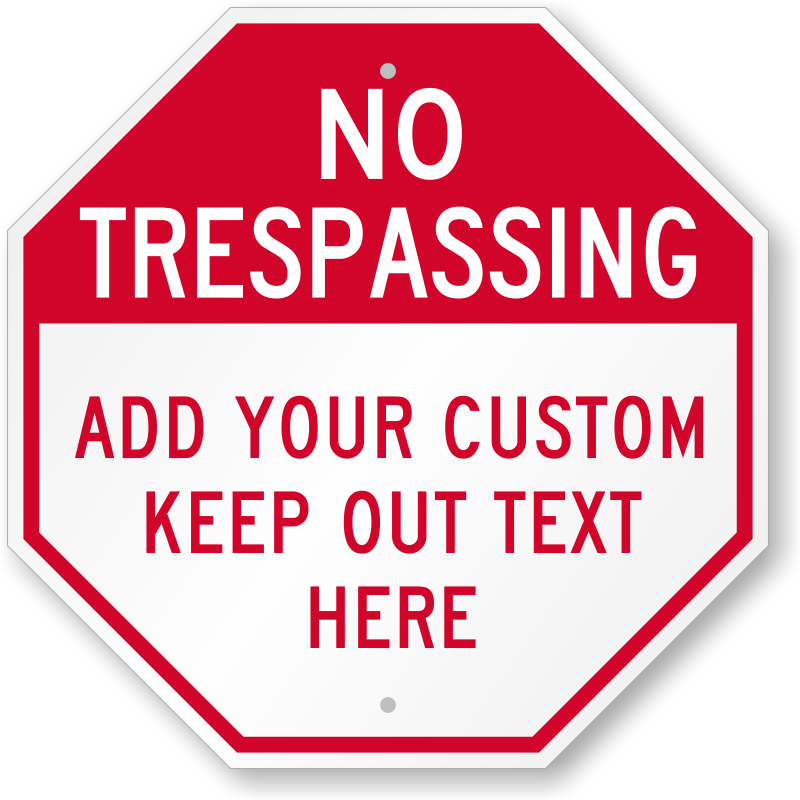 Help give abandoned animals the best possible chance at survival by posting these No Pet Abandonment and No Animal Dumping signs near your shelter, home, or business.